????? ?BREAKING NEWS: BIG 12 SOCCER COMES TO OLATHE!!! Kansas State University Olathe has partnered with Olathe Chamber of Commerce and Kansas Youth Soccer to bring Division 1 Women's College Soccer to Olathe! 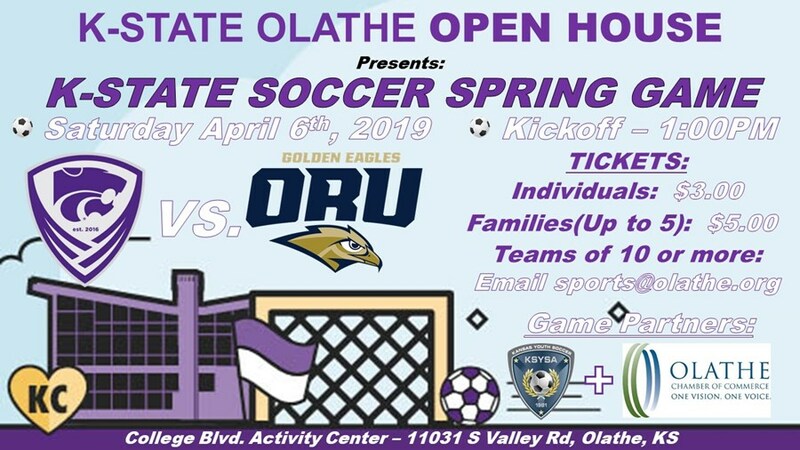 As part of the 2019 Kansas State Olathe Open House events on April 6th, 2019, K-State Soccer will be playing a Spring Game at the College Boulevard Activity Center right next to K-State Olathe Campus!